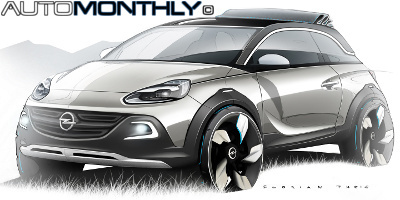 Yesterday, we found out that Opel/Vauxhall was planning a cabriolet version of the Adam, and today the German company revealed a few sketches of the parkour-inpired concept called ADAM ROCKS that will have fabric retractable roof. The confirmation was done by a "senior source" within Opel/Vauxhall and comes after several reports pointing to a rival for the Citroën DS3 Cabrio and Fiat 500C. Not much is known but according to autocar the new cabriolet will get a "pram-style electric folding roof". 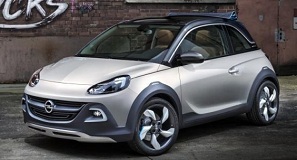 Rumors circulating on the internet indicate that Opel might be working in an OPC version of the Adam to tackle the Mini Cooper S, Audi A1 and the Fiat 500 Abarth.